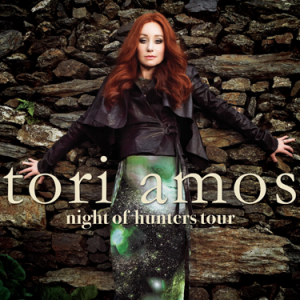 US singer songwriter Tori Amos has announced that she’ll release a new album in September. Entitled ‘Night Of Hunters’, she’s described the new project as “a 21st century song cycle inspired by classical music themes spanning over 400 years”, hinting that fans will be able to preview tracks from the forthcoming project on her OFFICIAL WEBSITE in the weeks and months ahead. Though no official word has come through on a local instore date, given Tori will release it through Deutsche Grammophon, it’ll be released in Australia via Universal Music. Tori has announced live dates throughout Europe in support of the new LP. She’s looking ever more like Nicola from Girls Aloud!